“You got to keep positive, get in fast and get out fast,” Graham told the majority leader when discussing the best ways to deal with the president, The New York Times reported. “Your biggest problem is that he thinks you only call him with bad news,” the Republican senator explained to the Graham, as he shared his personal methods of Trump-whispering, according to a Senate colleague present for the exchange. While they might have their differences, both are fixated on getting themselves re-elected. 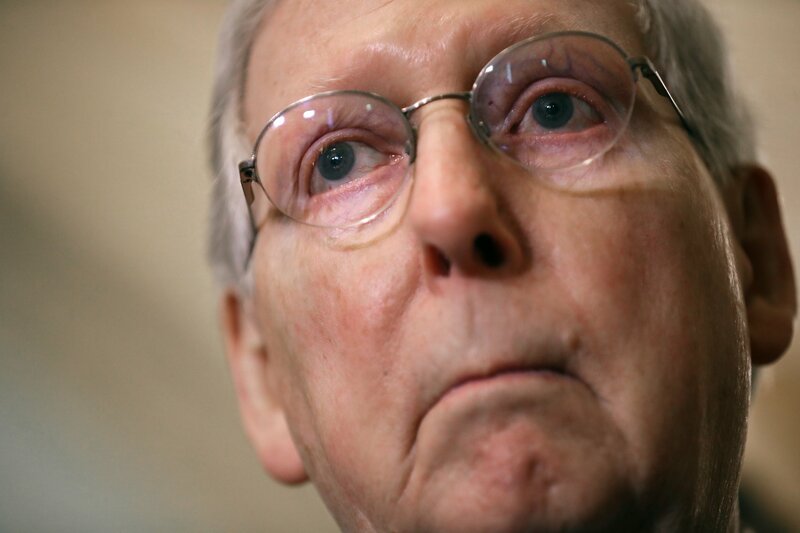 McConnell has, at Trump’s behest, rolled back Obama-era regulations, delivered the president’s massive tax slashing agenda and facilitated a series of controversial nominations. The most high profile of these included the nomination of Brett Kavanaugh to the Supreme Court, a move the Kentucky senator questioned. McConnell has also reportedly learned to deal with the president directly, concerned that leaks are inevitable when Trump summons aides and relatives to his side. Senator Graham has made one of the most conspicuous 180-degree turns when it comes to dealing with the president. In 2015, when the pair were vying for the Republican presidential nomination in a crowded field, the South Carolina lawmaker called Trump a “xenophobic, race-baiting religious bigot.” “You know how you make America great again? Tell Donald Trump to go to hell,” Graham said during a CNN interview in 2015.